88cc Race head kit for Your Honda 50 or Honda 70. This kit will drastically improve your overall performance on your bike. 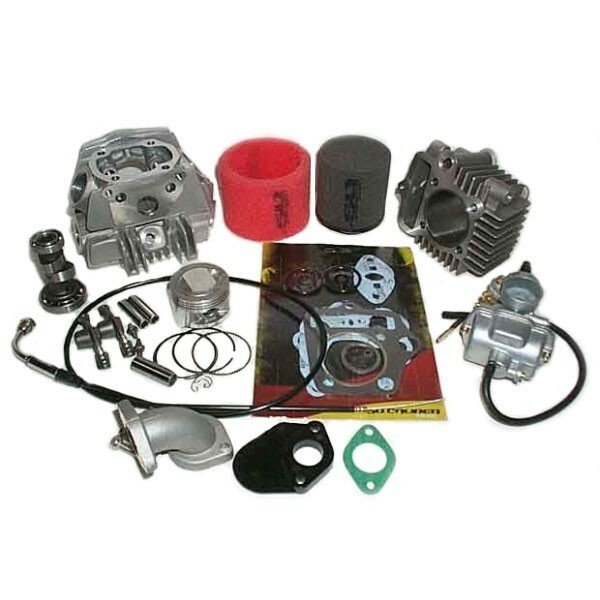 A stock honda 50 puts around 2.2hp to the ground and this kit will put you between 5.5-6hp to the ground and 30% more to the crank! Kit comes with fully assembled race head, performance cam, 20mm carburetor, and all the other goodies needed to fulfill your need for speed! We have been selling these kits since 2004 and believe they are of the highest quality and put out the most power you are going to find in a Big Bore kit period.